An excellent high quality affiliate program for their flagship brand SlotsMillion and LadyLucks. If they're raring to promote an online casino that features thousands of games or one that already has a long history then affiliates might want to give Alea Affiliates a try. By joining this affiliate program, they'll be able to promote the SlotsMillion and LadyLucks brands. Targeted mainly at UK and European markets, these online casinos have become two of the most popular in recent years. Not only do they offer somewhat generous bonuses, they also provide players with access to thousands of casino games from the most notable developers in the industry today. As a result of these features, these online casino brands also boast of outstanding conversion and retention rates. Affiliates will get to enjoy generous revenue share commissions the moment they are able to successfully promote the SlotsMillion and LadyLucks brands. 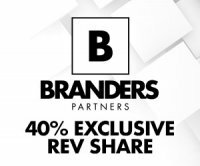 If they're still starting, affiliates can expect to get a 30% to 45% share of the revenue generated by the brands from their referrals' transactions depending on the affiliate's performance. Alea Affiliates calculates its affiliates' commissions for a given month at the end of that month. Then, payments for the said commissions are processed on the first ten working days of the following month. Right now, the program only processes payments through Bank Transfer or via the affiliates' Neteller or Skrill accounts. Additionally, affiliates won't get paid if the total commissions they earned fall short of the 100eur minimum pay out requirement. In cases like these, the program will defer the payment for the next month or until the affiliate manages to hit the 100eur requirement. After registering with the Alea Affiliates program, affiliates will have immediate access to their account dashboards. Here they'll have access to marketing materials and monitoring tools that they can use to ensure that their referral campaigns turn out successful. Marketing materials currently include links, banners, and free games that affiliates should have no trouble integrating to their sites or campaigns. Once these marketing materials have been integrated, affiliates can then monitor them through their account dashboard. The affiliate program allows them to have access to updated stats as well as generate reports that can then be used to improve their campaigns, and consequently, their commissions. The brands under the Alea Affiliates program are relatively new. SlotsMillion is an online casino that started operations in 2014 and has grown to be one of the largest in the industry. On the other hand, LadyLucks has been around since 2004 but was only acquired by Alea Gaming Ltd. back in 2017. One reason for the continued growth has been their extensive casino games libraries. Their operator, Alea Gaming Ltd., has made sure to get the latest titles from developers such as NetEnt, Microgaming, Saucify, Quickspin, Thunderkick, WagerMill, Cryptologic, and many more. This move has paid dividends as players from their target markets (Europe and the UK) now consider the brands as one-stop shops for all their casino gaming needs. Alea Gaming Ltd. currently operates these brands through licenses issued and regulated by the Malta Gaming Authority, UK Gambling Commission, and the Government of Netherland Antilles (LadyLucks).